Jean Mason has a doppelganger. She's never seen her, but others swear they have. Apparently, her identical twin hangs out in Kensington Market, where she sometimes buys churros and drags an empty shopping cart down the streets, like she's looking for something to put in it. Jean's a grown woman with a husband and two kids, as well as a thriving bookstore in downtown Toronto, and she doesn't rattle easily—not like she used to. But after two customers insist they've seen her double, Jean decides to investigate. 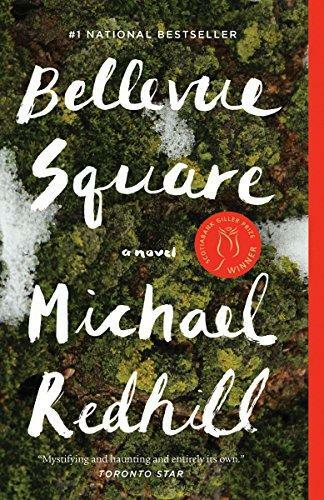 She begins at the crossroads of Kensington Market: a city park called Bellevue Square. Although she sees no one who looks like her, it only takes a few visits to the park for her to become obsessed with the possibility of encountering her twin in the flesh. With the aid of a small army of locals who hang around in the park, she expands her surveillance, making it known she'll pay for information or sightings. A peculiar collection of drug addicts, scam artists, philanthropists, philosophers and vagrants—the regulars of Bellevue Square—are eager to contribute to Jean's investigation. But when some of them start disappearing, she fears her alleged double has a sinister agenda. Unless Jean stops her, she and everyone she cares about will face a fate much stranger than death.